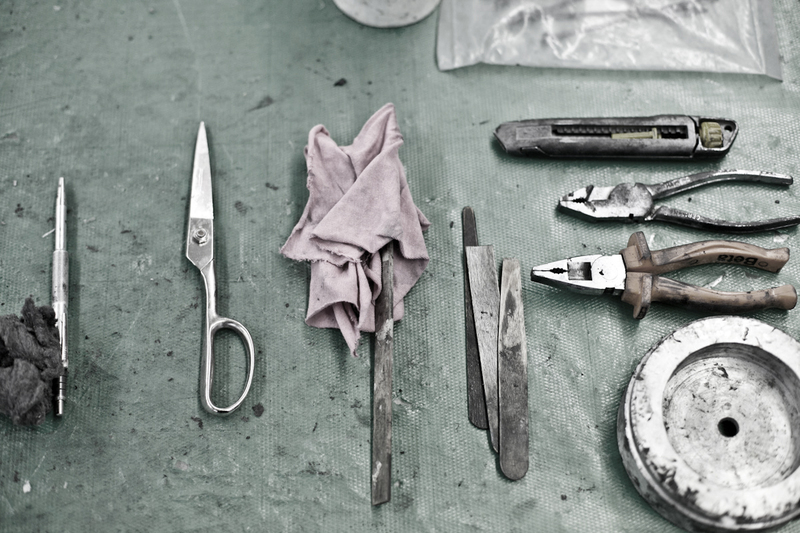 Each rafael is a strictly handcrafted and very special bike system. Exclusively built on customer wish and preferences and in very small numbers. To allow the right care and chance for customizing, every frame is built directly for its athlete. For inquiries and information about availability and delivery times, please contact info@vonrafael.com. 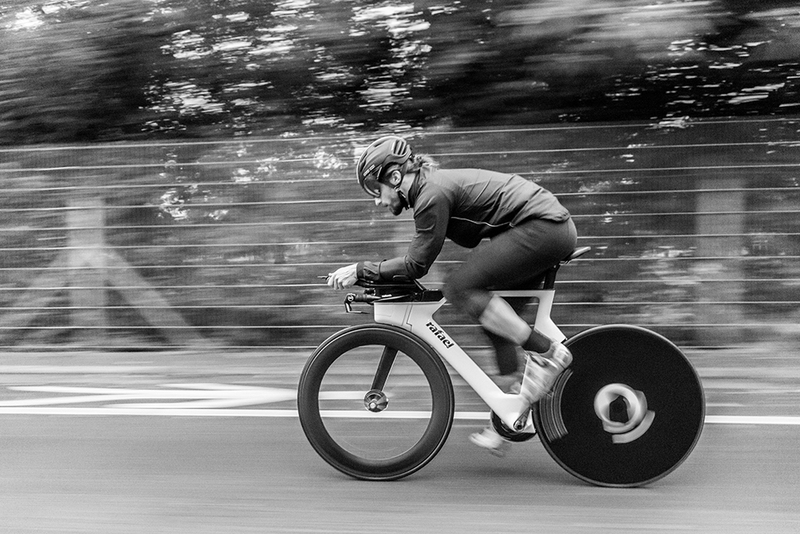 Pricing is quoted individually due to the custom nature of the bikes. 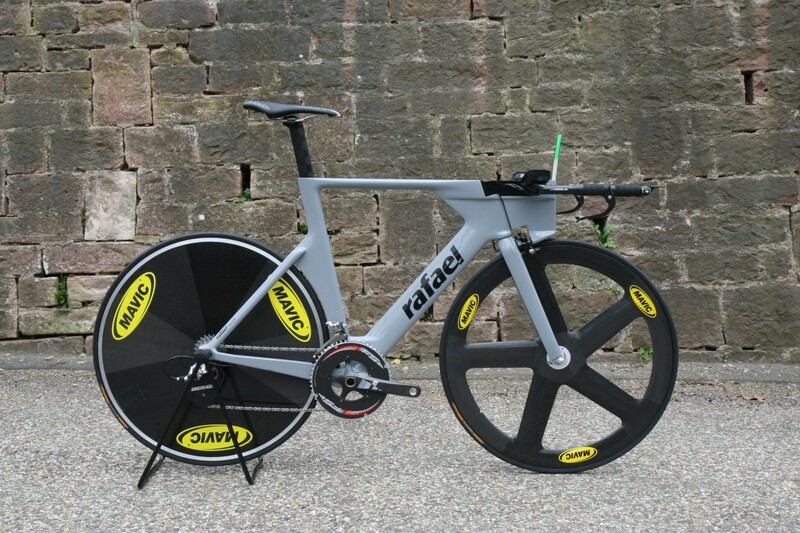 The base price for a rafael carbon main frame system is about 5500 Euro, including seat post and fork.